Voting began at around 10 a.m. depending on the location and continued until late evening. 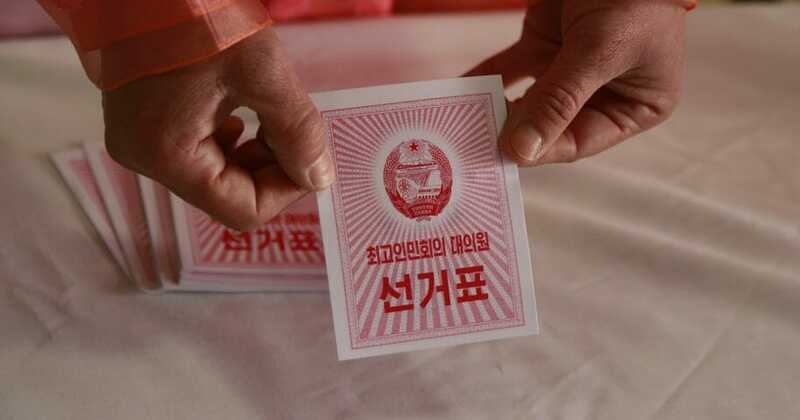 Voters show election officials their ID cards to receive their ballot with the sole candidate’s name on it, which they cast in a private booth. If they approve, they simply put the ballot in the box. If they don’t approve, they cross the name out and put it in the same box. Officials at two polling stations visited by the AP said they were not sure of the exact number this year, or when the results would be announced. Five years ago, 687 deputies were elected and the results — despite being a foregone conclusion — were announced two days after the vote.